Dubai Off-Plan Sales Down 37% in Q1 2018. Residential sales prices in Abu Dhabi and Dubai fell in February. However, analysts, a Reidin suggest the partnership between Aldar Properties and Emaar Properties will raise confidence in the market. Reidin’s residential price indexes for Abu Dhabi and Dubai shows Abu Dhabi sales prices plunged 7.9 per cent year-on-year in February and 1 per cent month-on-month. Whereas, in Dubai, sales prices fell 4.1 per cent year-on-year and 0.3 per cent month-on-month. “Overall market conditions in the UAE have remained stable when we compare total sales transaction volumes in February 2018 with same term last year,” said Reidin’s operations and research director Ozan Demir. “Recently, the UAE’s two major developers Emaar and Aldar announced a partnership to launch Dh30 billion worth of iconic and lifestyle projects locally and internationally. This attests the UAE Government’s ambitions in strengthening real estate regulations and adding economic value to the country.” The Dubai property market has softened in the last 3 years due to global economic conditions such as falling oil prices. Prices are being diluted by an abundance of new housing stock and a falling global investor appetite for it. But a rebound in the price of oil and slower delivery of units is helping the market recover. Last Updated 19th September 2017 Phildar Advisery, the sepcialist real estate advisory firm, believe Dubai residential property prices and rents are set to fall further. This is due to continued losses of high-paying jobs and dwindling household incomes boost vacancies across the city. “The false start of early 2017 is over and the cracks are starting to show,” Jesse Downs, managing director at Phidar, wrote in a report on Tuesday. “Sales volumes of completed properties are at a six-year low and vacancies are rising across the city.” Phisar Reported that prices of villas, single-family homes, slid 10.2 percent on average in the past 12 months, while apartment values remained unchanged. Villa rents dropped 4.9 percent while apartment leases fell 3.4 percent in the period. Dubai Property Market Forecast – Last Updated 10th September 2017 Dubai Property Market Sentiment Worse Than Last Year. Core Savills has revealed that there are growing concerns of potential oversupply in the emirate; which could cause a continuation of the softening rents. The research indicated that only 33% of people in Dubai believe that the property market has shown indications of recovery; indicating worse sentiment than last year, according to a survey by Core Savills. The report shows 34% or those surveyed thought the market had improved this year compared to 2016 where 50% agreed. Of those that disagreed with seeing signs of recovery, 80% believed the market would be over supplied by 2020. Of those who did not feel that the market was recovering; 80% of those surveyed believed the that the Dubai property market would be over supplied by 2020. Another firm, Cluttons’ reported in their latest white paper; that values across Dubai’s residential investment areas continued to moderate during Q2 2017. Recording an average of dip of 1.5%. Therefore representing an annual price fall of -5.8%. 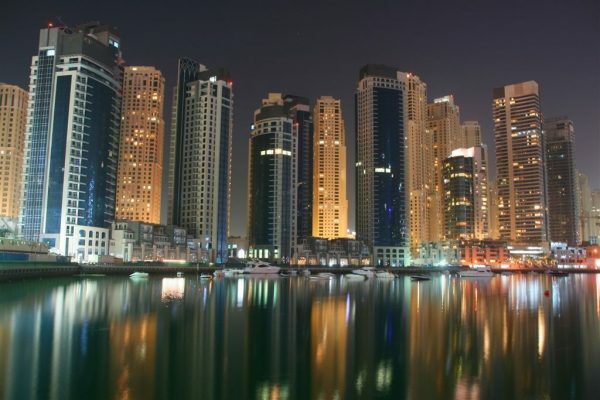 This therefore marks the 12th consecutive quarter of Dubai property price declines. Which equates to a total price fall of 14%. Apartments continue to fare better than villas, with prices decreasing by an average of 1% during Q2. Whereas villa values fell 2.2%. The price declines are now reported to be nearing an end, with many locations starting to show signs of bottoming out, as previously reported by Cluttons. During the first six months of 2017, only 7 of the 32 submarkets reported by the firm recorded price falls. Dubai Property Market Forecast – Last Updated 24th July 2017 Dubai’s off-plan sales market is having a ‘detrimental effect’ on prices of ready-property sales, says a new report from Core Savills. Savill’s Dubai Residential Market Update shows homeowners in areas such as Downtown Dubai and Dubai Marina are competing for the same pool of investors as developers launching new schemes. However, the developers are offering “highly competitive and attractive payment plans”, often for properties that are more competitively priced. “We remain watchful over growing off-plan sales and lucrative payment plans, which continue to undercut both low- and mid-segment sale prices as well as adding systemic risk to the overall market (this is) something which might require further regulatory strengthening,” Core Savills said . This is in stark contrast to the UK property Market; as ready property is in such a shortage that it commands a premium. The continous launch of units in new developments is lowering the values of ready-property. Dubai Property Market Forecast – Last Updated 3rd July 2017 Dubai’s residential property prices fell 3.69 per cent during the first quarter (Q1) of the year. Therefore an improvement from the price decline of 9.26 per cent a year earlier, a report said. House prices fell 2.4 per cent during the latest quarter, added the Global Property Guide. Dubai’s property market has been one of the world’s most volatile. The emirate saw one of the world’s worst housing crashes from Q3 2008 to Q3 2011 & house prices plunging by 53 per cent. The market started to recover in 2012, with double-digit house price increases from Q2 2012 to Q4 2014. However, the property market began to slow in the second half of 2014; amidst housing oversupply, subdued demand and slower economic activity. Demand is rising strongly again, another indication of improving housing market conditions. In Q1 2017, the value of real estate transactions soared by 45 per cent y-o-y to Dh77 billion ($20.96 bn). According to the Dubai Land Department. The Dubai property market has seen a shift in recent times, moving away from the larger luxury property development. There has been a bigger focus on supplying the market with more affordable homes for mid to lower income families. The mid to luxury market is already well catered for. Now the new wave of development is supported by both the government and private developers. The low-cost housing projects will primarily cater for those who have a combined household income of Dh15,000-Dh20,000 per month. Last month, the Dubai government announced a plan to introduce affordable lower cost housing for both UAE nationals and expats. This should bridge the gap in housing wealth across all income brackets. New data indicates that that Dubai’s residential real estate market is close to the bottom of its cycle. However any recovery is unlikely before the end of the 2017. JLL’s Q1 2017 Dubai Real Estate Market Overview report said, while rentals have recorded a decline over the past year (down 7.9 percent for villas and 2.9 percent for apartments), there has been very little change during Q1 of this year, suggesting prices are no longer in decline and may have begun to turn the corner. “This suggests that the residential sector is currently poised close to the bottom of its cycle. The key question concerns the timing of any recovery,” JLL said. Any recovery in residential prices in Dubai is unlikely before late 2017 at the earliest. New VAT rules will be introduced to the UAE from 1st January 2018, VAT will be charged on the sales of off-plan properties, VAT charges will be applied to the first sale of a residential property but will not be applicable to resales. The UAE Ministry of Finance (MoF) said residential property sales and leases would be exempt from VAT. However the first sale of new residential property will be charged. Knight Frank is the latest broker to predict a revival in the Dubai market after two years of house price falls; caused by the global slump in oil prices, the strong US dollar and an increase in transaction fees. Prices in prime areas such as Downtown Dubai, Dubai Marina and Palm Jumeirah continue to edge lower. Average sales prices in areas such as Dubai Silicon Oasis, Dubai Sports City, International City and Discovery Gardens had risen by 3 to 5 per cent from their lowest levels at the start of 2016, Core Savills said. Although JLL & Knight Frank anticipate growth in the Dubai property market from mid-2017, other property experts remain far more pessimistic when forecasting the Dubai Property Market. In January 2017, property research company Phidar Advisory predicted that Dubai property prices would continue along a trend of “further gradual softening”. Because the market remains subdued by the strong US dollar, an expected increase in interest rates and slow economic growth. Cluttons another property broker also said, it doesn’t expect a recovery in Dubai’s property market until the end of 2017. Dubai Property Market Forecast – Last Updated 4th December 2016 Dubai’s residential property market is showing signs that it will stabilise in 2017 as it continues to post declines. This is according to the latest report by consultancy Cluttons. Residential sales values dropped 7.4 per cent year-on-year in the third quarter. Which is currently 26.7 per cent below the Q3 2008 peak. Quarterly transaction volumes also slipped by 21 per cent during Q3, led by a 22 per cent fall in apartment deal volumes. In Q3 2016, average villa prices fell by 7.8 per cent compared to Q3 2015 although more affordable communities such as The Green Community and Jumeirah Village registered no change in values. Mid-range homes in locations such as Motor City, Emirates Living, Arabian Ranches, Victory Heights and Jumeirah Park; recorded only a 0.1 per cent price rise. However, high-end properties in areas such as The Palm Jumeirah and Hattan Villas at The Lakes posted the biggest drop in prices at 11.9 per cent and 11.1 per cent year-on-year respectively. The Dubai property market will likely turn around at the end of 2017, but the recovery could be delayed depending on oil prices and the US dollar. In the rental market, the report showed that the quarterly rate of decline stood at 1.5 per cent in Q3, following a 4.4 per cent fall in Q2. This is the strongest decrease recorded in five years. The latest change leaves average rents 8 per cent down year-on-year. Villa rental values were down by 9.4 per cent compared to Q3 2015. Whereas apartment rents fell by 5.8 per cent. The slowdown in the job market, has caused a fall in rental prices. With predictions that this will continue, until late 2017. Jesse Downs, managing director at Phidar Advisory, stated that growth in residential demand correlates with the net expatriate job growth growth. With all available indicators showing a general slowdown, it will take until the end of 2017, or maybe later, for the Dubai property market sector to make a turnaround. August 2nd 2016 Dubai Property Market forecast: Property prices and rents recorded little movement Q2 of 2016 states a new report, and expectations of low demand into Q3. The report by Chestertons MENA, recorded a 6 per cent decline in the total transactions in the second quarter at AED26 billion, compared to Q1. But the number of transactions were up 17.5 percent. The number of mortgage approvals issued rose 50 per cent in Q1. However, there was a decline of 20 per cent in Q2. Chestertons’ anticipate that the Dubai property market will remain sluggish in Q3, expecting a continuation in the weak rental demand. Dubai Property Market Forecast: Currency strength presents new opportunities for buyers. The dollar’s strength now represents a new limitation to the growth and recovery of the Dubai property market, as it is now more expensive for foreign buyers to invest in Dubai and UAE, which has a direct impact on the Dubai property market. Foreign buyers accounted for more than 80 per cent of real estate investment in Dubai in 2015. Investment contribution from Non-Arab buyers, amounts to a staggering 55 per per cent of the market. The dirhams peg to the dollar is also encouraging expatriation of funds, with property investors utilizing their increased purchasing power to buy property outside of the UAE. The attraction for UAE based buyers to seek property for sale outside of the UAE is that their increased strength in the Dirham makes properties in cheaper in international markets such as the UK. Brits and Pakistanis are the top three foreign buyers of Dubai real estate and account for nearly 30 per cent of total real estate investment in Dubai. Trends show a fall in the strength of the Indian rupee, British pound and Pakistani rupee have direct correlation with Dubai property prices. 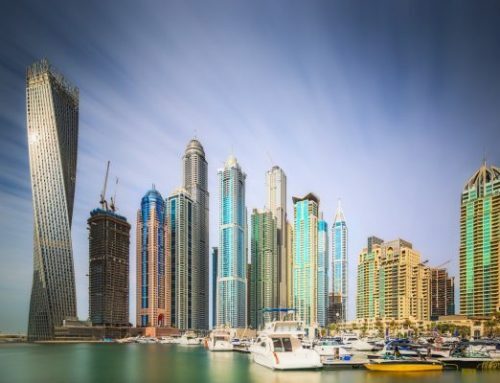 This creates a re-direction of capital out of the Dubai property market, additionally, potential buyers seek to liquidate assets denominated in a strong currency and reallocated capital in better-valued markets. Investor Education: UK Property Regional Overviews. Follow the Links below to find out more about the Key Regional Markets in the UK. Birmingham is in the heart of the UK, which has excellent connectivity to both the Northern cities; Manchester and Liverpool, and also London. Liverpools property market offers, high yields and comparatively low property prices. Recently voted HSBC’s number one buy-to-let hot spot.